The Sonderanhänger (1 achs.) (Sd. Ah. 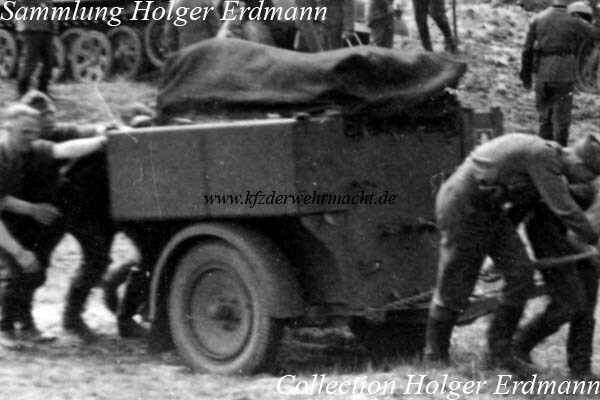 53) - one-axled special trailer 53 - was used for transportation of the Kommandohilfsgerätes 35 (Kdo. Hi. Ger. 35). This Sd. Ah. 53 was photographed during a military exercise. The Kommandohilfsgerät 35 transported with this trailer type is visible to the right of the trailer. 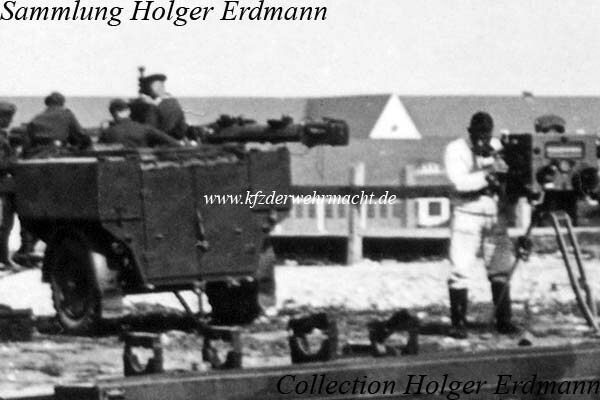 In contrast, a Kinotheodolit - an optical tracking system - was transported with the Sonderanhänger (1 achs.) (Sd. Ah. 54). Both trailers seems to be identical, outwardly.